This book is about living in South Africa in the 1970s, it’s about what happened after the Soweto Uprising in 1976, it’s about a little white girl who lost her parents and an older black woman who is searching for her daughter. And it’s about how this woman is able to teach this girl how to love again. I cannot help thinking that she is a child without her mother, and I am a mother without my children. I am learning how love wells up and causes great pain when it has nowhere to go… Does it matter that the child is not mine? Does it matter that she is white? Does it matter that her tongue cannot wrap itself around my language when I can wrap my arms around her? I do not think so. Despite the heavy topics, this book is effortless to read. Robin is spunky and clever, and Beauty is caring and open. The narrative between the two of them flows nicely back and forth in short enough segments to keep you reading ‘just one more chapter’. The tone of Beauty’s story is more serious; it gives the reader an idea of the political and social landscape of the time. Our homes are borderless just as the world was once free of boundaries; there would be no walls or roofs at all except for the essential shelter they provide. Privacy is not a concept my people understand or desire; we bear witness to each other’s lives and take comfort in having our own lives seen. What greater gift can you give another than to say: I see you, I hear you, and you are not alone? Told through the eyes of a 9-year-old, Robin’s part of the story helps to lighten the mood, even making me giggle at her tendency to take things so literally. I hope you can explain the tale of the tortoise and the hair to me because it does not make sense that hair can run faster than a tortoise because hair does not have legs. Maybe it was magical hair. Robin helps us to see the ways in which a child might experience apartheid; how confusing it must be for her to go from a prejudice household with a black maid to a household that treats people as equals. As well as having to cope with the grief of losing her parents and the unfamiliar ways of her eccentric Aunt Edith, Robin has to navigate through the mixed messages she gets about race and class to gradually come to her own conclusions about what’s really important. If people didn’t come in the right colours, how would we know who to be scared of? I was mute. I didn’t know what to say in a world where people were hated and attacked for not being the right color, not speaking the right language, not worshipping the right god or not loving the right people; a world where hatred was the common language, and bricks, the only words. The story becomes a kind of mystery about the whereabouts of Beauty’s daughter. It becomes a nail-biter when there are threats and anonymous phone calls. There’s also a question of which connections are reliable and which are not. Then it takes on a kind of “Harriet-the-spy” quality when Robin gets involved. There were a couple of times in the book that I had to suspend my belief, but Robin’s escapades were so enchanting that I didn’t mind at all. The one who fights the hardest is the one who loves Beauty the most. At one point this story uses the ‘withheld information’ plot device. It’s quite possible that tactic agitates me more than any other. But I still give the book 5 stars. Read it! Beauty: Why they lie for hours in the sun trying to get brown when they find our own skin so displeasing, I do not know. Robin: Do black people have freckles?… Do you just not see them because the freckles are dark and your skin’s dark too? Wouldn’t it be funny if black people had white freckles? Hugo suffers from bipolar disease. It’s 1961, and being at the end of their rope, Hugo and Dora have decided to re-locate their family from Brazil (where Dora and the girls have lived all their lives) to Canada in the hopes of finding better treatment for Hugo. But just a few days before they were meant to leave, 20-year-old Luiza has gone missing. Her sisters saw her swim into the ocean, but no one remembers her coming back. The trip has been delayed – how can they leave when they have had no sign of Luiza, dead or alive? What follows are the alternating thoughts of the family members almost a year after Luiza’s disappearance, as they are once again preparing to leave for Canada. This time, with or without knowledge of their missing daughter. Dora: Even after 11 months, Dora is still hoping, even expecting, the miraculous return of her daughter. Hope. The only thing crueller being hopelessness. In hope lived ‘what if what if what if’; in hope she looks for Luiza because the search feeds possibility. Or might finally blot it out. It hurts too much to think of her being lonely. Alone in the water. She thinks about what kind of mother she’s been to her daughters; too absent? Too willing to let the maids take over their care? But she was just going along with what was expected. She gave almost everything she had to her husband. She must think of the girls now, not him. How to help them through this. But he takes up so much space – in a room, in her mind. The sun to all their pale, smaller moons. Imagine always knowing what to do next, believing that one’s actions have worth and beauty and grace – a perfect kind of peace. Free of constant, plaguing doubt, wondering if you’ve done the right thing for your family, wondering if you’ve been good enough. Hugo: Hugo and Luiza had been very close. Luiza was Dora’s little helper when it came to Hugo’s condition. She always seemed to know what to do. Never again. He must never let her go again. Dora can make her plans, cross off her lists, hide her filthy letters. And he can pretend. But he won’t leave Luiza – vapour or body – alone in this country. He’ll find whatever’s left of her. He’ll go to wherever she is. Maybe, without meaning or wanting to, people like Hugo and Luiza give everything, but they take as well – all the sadness, all the beauty, all the air. They cry a sea of tears, then swallow it all back up, all that love and empathy, and leave everyone else floundering in puddles. Evie and Magda: Evie’s character is hard to pin down; she seems kind of loose and rootless, dreamy and disoriented. She’s told Magda that “her body feels everything” and Magda describes her as “trembling like a weak wind or a leaf”, while Magda “keeps herself very still… more like a tree trunk than a leaf. Instead of her body, it’s her mind that grabs hold of everything”. Magda is abrasive and dominant. Both are keenly aware of what’s going on, in their different ways. More than a mystery about a missing person, All Is Beauty Now is about family tragedy and trauma; how it effects each person individually as well as the way we relate to each other and ourselves. If you are reading this strictly for plot, you might be disappointed, but I know there are many of you out there who, like me, prefer good characterization and sense of time and place to go along with our mysteries and secrets. Reaction to the ending could go either way. If you’ve read this, let me know… I have a question about the way it ended! Thank you to McClelland & Stewart for sending me a copy of this book by way of their Goodreads giveaway. Like in Faber’s book, a woman goes missing. Also like in Faber’s book, the story alternates between several narratives to bring us different perspectives as the story fills in around them. But, despite the similarity in plot, these books are very different. Different time, different countries, different circumstances, and a different focus. In So Much Love, twenty-seven year old Cat disappears after work one night. Her husband and her mother are heart-broken, and her university professor can’t stop thinking about her. Even months later. The tragedy of her death hits me for the thousandth time when I see it reflected in the students’ faces. Julianna really was a person once, a fleshy girl like these ones, with their long limbs, fruity perfumes. And Catherine, that girl grinning on the rain-sodden vigil posters who once got an A- on my midterm exam, she was a person once too. She had a husband, and now that man does not have a wife. Somewhere in the city, Catherine’s husband is grieving and waiting for news. How does he pass the time? Everyone wonders if her disappearance is in any way connected with the one of Donny Zimmerman a month before hers. They wonder if she’s dead, they wonder if she left voluntarily, they wonder of they’ll ever see her again. The reader wonders if her disappearance has anything to do with the OCD loner guy with rabbits in his basement. Life isn’t written by an author who is carefully considering her words. I can’t go very far into the story without giving things away, so I won’t say much more about the plot. But this was a gripping story for me. It went into the psychological ramifications of a disappearance on everyone involved over the course of about a year. Even a few minor characters weigh in on how it feels. Fascinating stuff. Having a child was too much risk, too much wagered on a single, frail vulnerable body. How could they survive the loss? The only quibble I have with the book is the inclusion of the storyline about Julianna, the local poet Cat had been studying at the time she went missing. Years ago, Julianna also went missing around the same age as Catherine, and her story and poems play a part in the book. It wasn’t bad, but to me it didn’t seem necessary. However, I could be missing something… if you’ve read it, let me know what you think! He was looking forward to reading more, even if he didn’t understand some of the stories, even if they seemed grim. They were still stories, with people and events moving forward – something to hold on to. Have you read any page-turners lately? Which of these books tempt you? The last one is the only one that appeals to me. The quotes from the first two just seem so… one the nose? Not preachy exactly but… too “this is the message and its important”. So much love sounds more complicated. I’ve been searching for a mystery or thriller ill connect with and haven’t found it yet! 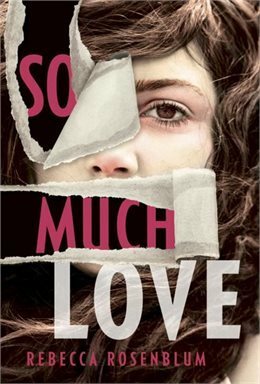 I think in terms of ‘best novel’, So Much Love is the one. But… Hum If You Don’t Know the Words impressed me even though I went into it with high expectations, and I enjoyed it so much I’m ready to forgive any flaws. Because of the setting, I expected it to be heavy and serious, but it’s really quite a light read that I think will appeal to a lot of readers. And I learned some stuff. 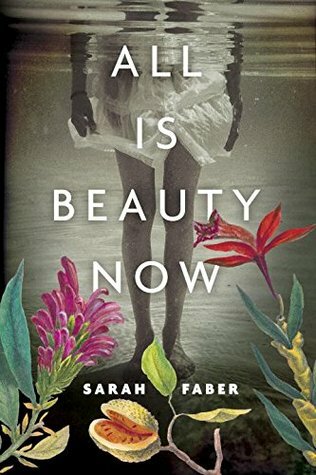 I went into All Is Beauty Now with almost no expectations, and ended up liking it more than I thought – always a plus! As for the quotes, I tried choosing ones that would give an idea of what the book is about or what the characters are thinking, as opposed to the best literary examples. So, yes, they might sound a bit message-y, but I don’t think that the books feel that way overall. I’d heard of the first book but didn’t know much about it, and had never come across the others. I like how you’ve grouped them together. 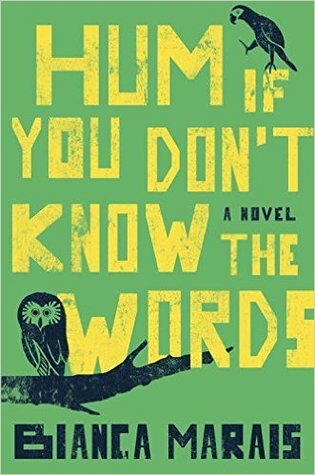 It’s great when a debut author can deliver a book that truly grips you. It was just a coincidence that I read them all in a row, and they all happened to be debut novels and page-turners for me. Rosenblum also has a couple of short story collections out, but the other two authors were new to me! I’m always a little sceptical of books told from the point of view of a child so I’m impressed with you 5-star rating for the Marais! Like I said to Laura, I pulled certain quotes, not because they were the best ones but because they give an idea of some of the issues in the book. Despite the fact that it deals with some heavy subjects, I came out feeling like it was more of a feel-good book. Not without its flaws, but good anyway. Are the last two books considered thrillers? I felt skeptical about the first book’s plot because it’s almost too convenient and reminds me of that book that (I think) Bill @ Australian Legend tore to pieces because it was about a woman who found a baby and kept it because she couldn’t have a baby of her own. However, the quotes from both narrators really sold me on it! I don’t think they’re marketed as thrillers… I think they’d be considered literary fiction with missing people. Is there such a thing? It’s the closest I usually get to a thriller, though. If the book you’re talking about is the one I think you are (Light Between Oceans? ), “Hum” is nothing like it. Robin doesn’t become Beauty’s child. Beauty becomes her “nanny” while her guardian is away. Which is a lot. If I had more time, I would have gotten into Robin’s Aunt Edith… she’s single and an airline stewardess, and is away more than she’s home. When Robin came to live with her, she tried getting a different job, but she became depressed and so went back to the job she loved. Meaning that she would have to find someone to take care of Robin. This is where Beauty comes in (through connections that happen in the book), and now Beauty and Robin are together much of the time, despite the fact that it’s illegal for Beauty to stay with her through the nights. I also would have mentioned Robin’s “twin sister”, Cat, if I had had time. The whole psychology of why Cat is around is interesting to read about. Wow, it sounds like a busy, beautiful book! Great reviews. I’ve already ordered Hum and Love. Can hardly wait til they arrive. Oh Hum seems like a great read! I’ve never heard of it, but I’ll keep my eye open for it next time I’m in the bookstore. I’ve got All is Beauty Now on my shelf, and I must admit I requested it because a) the cover was cool and b) the plot sounded promising. But now that you say it’s more about characterization, I think I’ll like it even more! Oh good, I’ll get to hear what you think of it! There is one thing that is bothering me… I’ll be curious to see if you share my feelings about it. I’ve read Hum if You Don’t Know the Words (gave it 5-stars too) and So Much Love – which I have so much love for! Heh! 🙂 I haven’t read All is Beauty Now, but do own it. I love that you put these three together though! I loved the style and structure so much of So Much Love, and for me, I thought that was a great little touch to add in the storyline with the poet and her boyfriend. Maybe adding that little extra about violence towards women? I remember your love for both of these books! And it’s good to have another opinion about the poet’s storyline. I don’t handle books about people who disappear too well, so out of these three, I would pick the first one, partly because of the setting. I think that would be a good one for you, TJ. I really loved the setting – I haven’t read many books set in South Africa. As for page-turners, I’ve been reading Colson Whitehead’sThe Underground Railroad, just one section at a time, because I was supposed to be reading other things and snagged it off the “new” shelf at the library, and maybe it’s because I am supposed to be reading other things, but I really want to find out what’s happening with Cora and her journey. I’m also supposed to be reading Stephen King’s It, but the new cover on it scares me so much that I can hardly stand to be in the same room with it; that’s more of a page-turner, I guess. Of your three, I think the last one appeals most because of the variety of voices in it and how curious you’ve made me about why the author may have chosen to include that other character! Are you curious about her short stories now? I definitely want to read her short stories! I think one of the collections might even be linked stories? Oh, you’re right! I’d forgotten about that. I think I’ve got too many peaches and strawberries lingering in there (from market days when we just couldn’t eat them quickly enough fresh, but wanted to buy them while they were available) but perhaps if I just make a few smoothies for a few days I could squeeze it in there. Thanks for the tip! I guess whether or not you find Robin annoying will be a matter of taste. I thought she was a great character! I hope you decide to read it… I’d like to know what you think! These all sound good – I hope you don’t have many multiple book posts planned, I don’t think my TBR can take it!